Mario, whose voice recalls the famous Barry White, continues the tradition of the stars of "Philadelphia soul" of the 70s and is one of the brightest representatives of this genre in Europe. Mario Biondi is a native of Sicily. He began to sing in the church choir, like many of his idols. His professional music career began in the late 80's, but the first album was published only in 2006. Since then, the musician recorded and released other 6 successful albums. 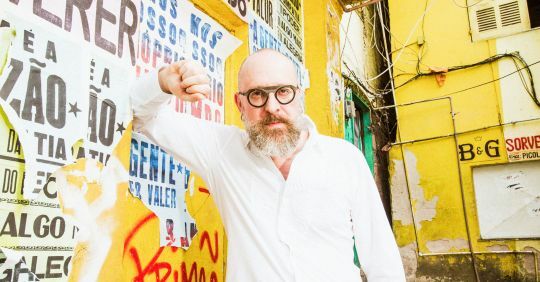 Biondi will present a program consisting both of already known songs and music from the new album "Brasil" that was released in late March 2018 in Europe. During recording Mario was assisted by Brazilian musicians, in particular, the famous composer, singer and pianist Ivan Lins, as well as German trumpeter Till Brønner, who's already familiar to Ukrainian jazz fans.